How welcome is nuclear power? A couple of months ago, EDF Energy put out a poll by YouGov which appeared to show that resistance to new nuclear power stations has decreased. Now, the new Understanding Risk/MORI poll covers much of the same ground about nuclear power, and shows some similar and interesting results. Between them, the polls shed some light both on where the public stand in terms of different power options, and on the impact of arguments that make nuclear seem more attractive. 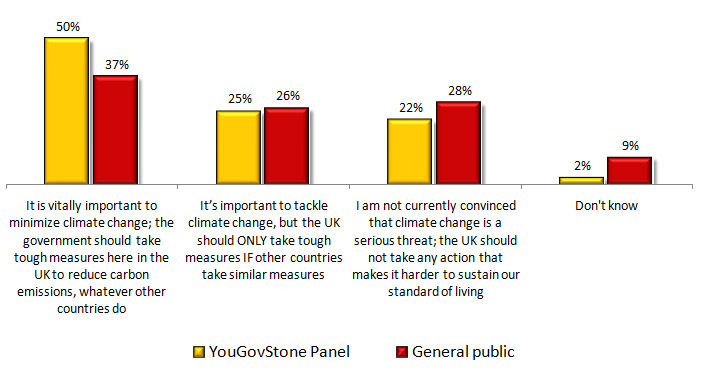 Interestingly, the Understanding Risk poll largely validates the results from EDF’s poll. While the latter may have been paid for by a company with something of an interest in a pro-nuclear result, the question structure didn’t seem particularly stacked to produce a result they wanted – and largely matched the results from Understanding Risk. The polls are useful for understanding public attitudes towards nuclear power in two ways: they indicate how people regard nuclear at the moment, and they also help show the impact of arguments for nuclear power. At a basic level, nuclear power is currently pretty much the least popular form of power generation in the UK. When asked favourability towards different sources, it comes in at the bottom of the pile – around the same place as both coal and gas. Similarly, there is strong local opposition to the construction of new nuclear power stations. While three in four claim they would support wind farms being built within five miles of their home, only a quarter say the same about a new nuclear station. However, the polls also show that this opposition is relatively soft. The arguments for nuclear power can change these attitudes quite strongly.